Following the Archduke’s assassination, tension across Europe rose throughout the month of July, 1914. After decades of militarism, nationalism, imperialism, and building of alliances, the world held its breath waiting to see whether or not war would be declared between Austria and Serbia. The result would be a chain of events that would forever change the world and alter the course of the 20th Century. As we learned last month, the Austro-Hungarian government blamed Serbia for the assassination of Franz Ferdinand. Although the murder was carried out by a small number of assassins linked to Young Serbia and the Black Hand, Austria-Hungary proclaimed the assassins were supported by the Serbian military, making it a national issue. Although it may have been unfair to completely blame Serbia as a whole, there was some truth in Austria’s accusations. In the days following the assassination, Austria’s leadership, known as the hawks and doves, were split over what action to take against Serbia. The so-called doves preferred a more diplomatic approach to resolving the issue, while the hawks sought decisive military action against Serbia. Austria’s ally, Kaiser Wilhelm II of Germany, was asked what he thought about the Serbian situation. He told Austria’s leaders that he would support them no matter what action they chose. This “blank check” agreement assured Austria of Germany’s backing in the event of war. The Kaiser’s pledge also put the hawks in firm control of Austria’s government. The hawks wrote and delivered an ultimatum to the Serbians. This ultimatum was purposely designed to be unacceptable to the Serbians, who they knew would reject the demands. A Serbian rejection would mean only one thing… war! Allow Austro-Hungarian officials into Serbia to lead an investigation into who was responsible for the assassinations. The Serbian government, with much humiliation, accepted most of the demands, but refused to allow Austrian officials to enter their territory to perform an investigation. Assured backing from Russia only strengthened Serbia’s refusal to Austria. 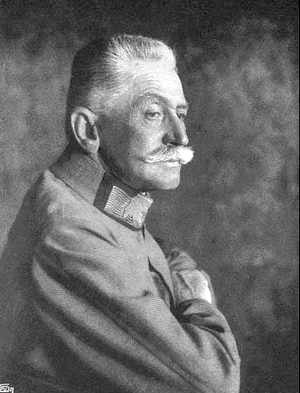 Although diplomatic solutions could have likely been worked out, Austria desired military action and a decisive victory over Serbia. On July 28, exactly one month after the Archduke’s assassination, Austria-Hungary declared war on Serbia. The stage was now set for what was destined to become the First World War. That same day Russia, Serbia’s ally, began mobilizing its army for war with Austria. Over the next few days, Germany’s Kaiser Wilhelm and Russia’s Czar Nicholas would correspond via telegram in an effort to avoid war. 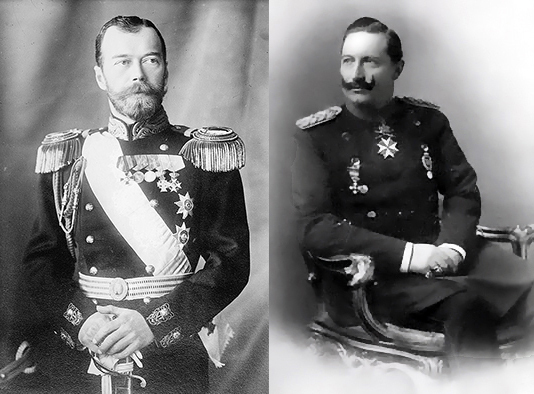 The series of telegrams are remembered as the “Willy-Nicky Telegrams” because the two monarchs were cousins and affectionately referred to themselves informally as “Nicky and Willy.” In the telegrams the two leaders desperately begged each other to control their allies and avoid mobilizing their armies for fear of war. The correspondence eventually broke down, culminating with Russia and Germany mobilizing their armies along their borders on July 30 and August 1, respectively. That same day, August 1, Germany declared war on Serbia’s ally, Russia. This was followed two days later with a declaration of war on Russia’s other ally, France. Acting decisively to avoid two fronts, Germany enacted the Schlieffen Plan which called for an invasion of neutral Belgium followed by a quick sweep into France. After the German invasion of Belgium on August 3, Britain upheld their support of Belgian neutrality and declared war on Germany on August 4. The vast alliances of Europe were now pulling numerous nations into a struggle that was solely between Austria-Hungary and Serbia. Both sides were confident and after years of militarism and expansion, they all viewed the looming war as a quick and decisive campaign that would be over by Christmas that year. Few events in history have ever been so grossly underestimated.